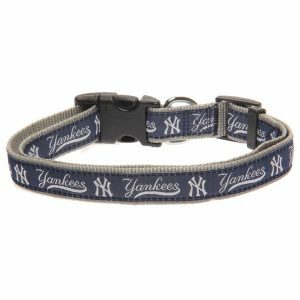 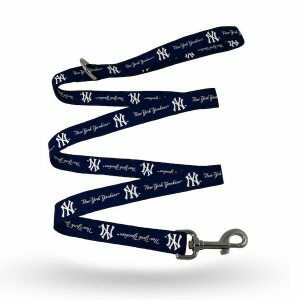 Let’s face it — your pooch is a cherished part of the pack and you can’t leave them out of the fun when everyone is rockin’ New York Yankees gear on gameday! 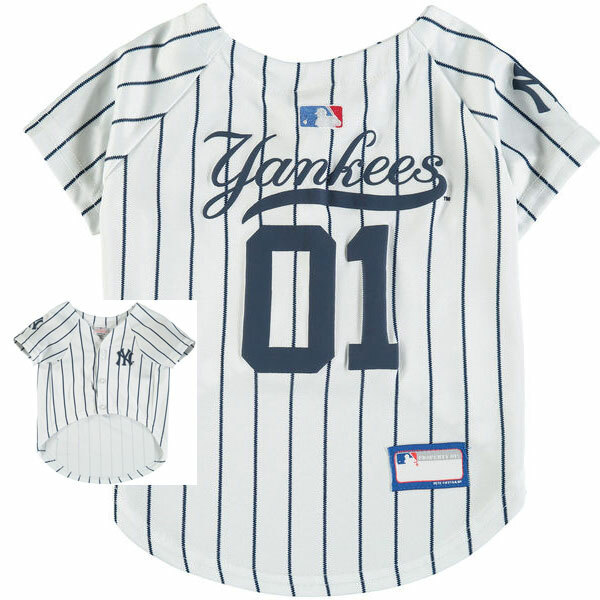 Hook ’em up with this well-crafted, pinstriped doggie jersey and you’ll feel the love in return. 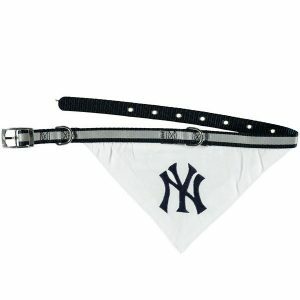 Size X-Large measures approximately 24"-28"
Size Large measures approximately 20"-24"
Size X-Small measures approximately 6"-9"
Size Medium measures approximately 14"-18"
Size Small measures approximately 8"-12"